Benjamin Franklin was a great inventor and made a big impact in history. He invented the life-saving lightening rod, started Philadelphia’s volunteer fire department, established a public library, and served as Philadelphia’s postmaster. He also founded several famous newspapers. To enhance our study of his fascinating life, we decided to take a trip to our local newspaper! 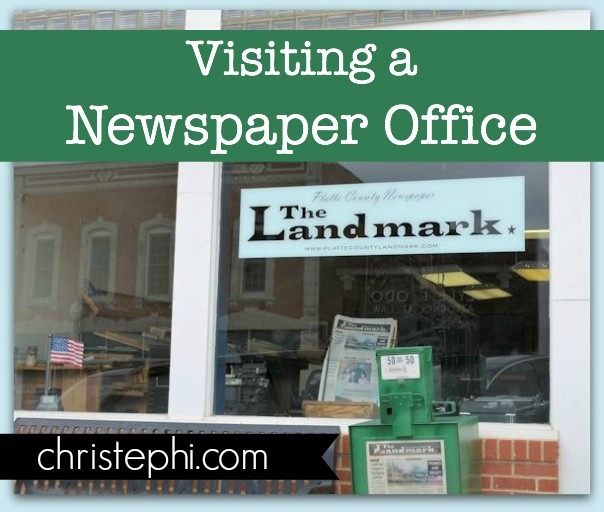 We visited The Landmark, one of the oldest newspapers in the state of Missouri and one of the oldest continuously published newspapers west of the Mississippi. The building The Landmark occupies is itself a piece of local history. It was built in 1869 as a drug store and post office. At that time, a post office was oftentimes a town’s center of news, just like in Benjamin Franklin’s day! The Landmark sends out its paper for printing off site — easy to do in these days of digital layout and the internet — but their office is home to some amazing old equipment from days gone by. The most fascinating machine for the kids and I was the linotype machine. 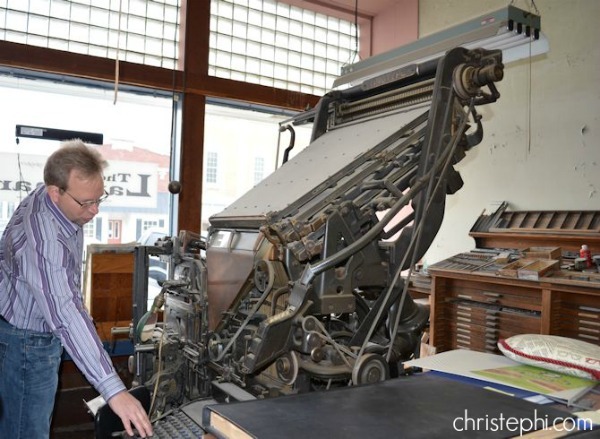 This kind of printing machine was the industry standard for printed media in the late 19th and early 20th century. It operates by casting a solid line of metal type, thus getting is name: line-o’-type. 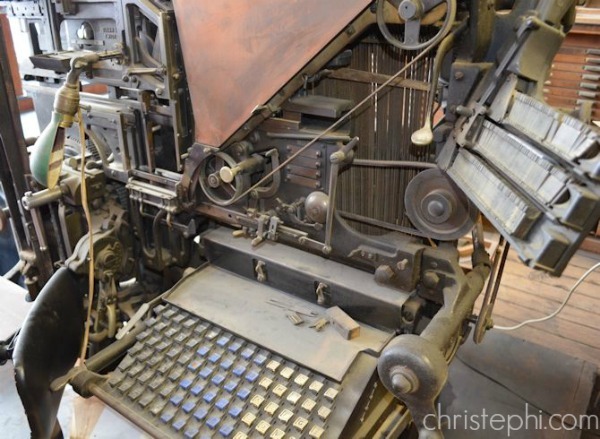 A linotype machine would have been one step up in development from the movable type press that Ben Franklin used. 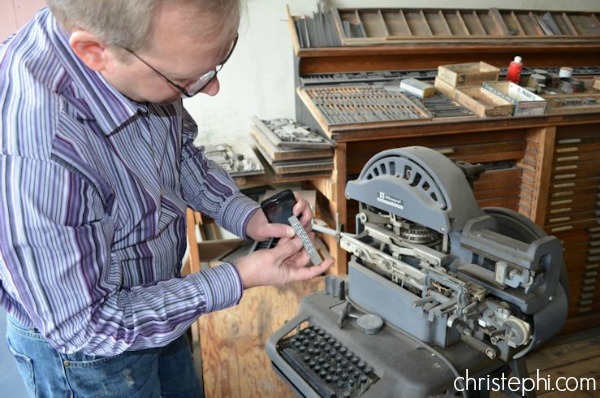 Owner/Editor Ivan Foley showing us a block of text from the linotype machine. The keyboard of the linotype machine. Ivan Foley describing how the linotype machine works. Archives of past issues of The Landmark. Office Assistant Cindy Rinehart showing us how she does the layout of an article she received from a reporter via email. 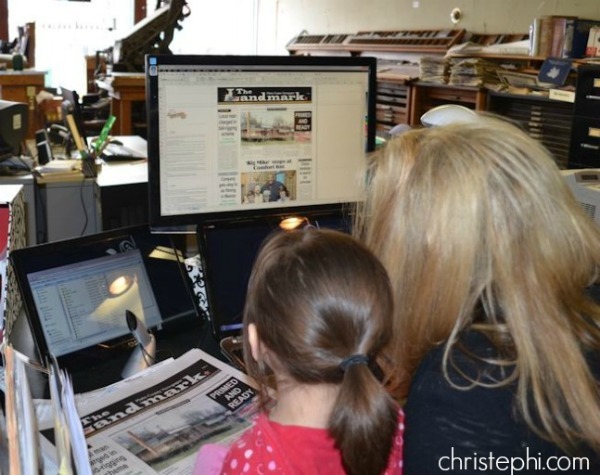 Have you been to visit YOUR local newspaper? I’d love to hear about it! This article was originally published in August 2013 by Home & School Mosaics.